Does absolute power corrupt absolutely? I don’t know, but I intend to find out. House of Pawns is an interesting series of escape rooms, in that they follow the evolving story of Senator Frederick O’Connor and the Asteroid Bill he champions. Part 2 focuses on a group of alternative energy activists searching for the ability to convert the asteroid’s natural properties into abundant fuel in order to help the bill pass, and Part 3 is about the murder of an esteemed scientist involved with many of the previous players in Part 2. It is a story full of intrigue and political maneuvering, and you’ll have to unravel the conspiracies in only 45 minutes! This was our first time doing a room that changed to reflect a new episode in the story, so we were interested in seeing how the room shifted between the two. The story briefing for these rooms were a bit heavier in exposition than Night at the Museum, and we were excited to see that special attention had been paid to crafting a narrative, which is always an excellent addition. We were led into the Senator’s office, and though the theme necessitated a fairly standard office scene, it was the mystery beneath that we were itching to uncover! Both experiences were adept at delivering an evolving story through puzzling and props. 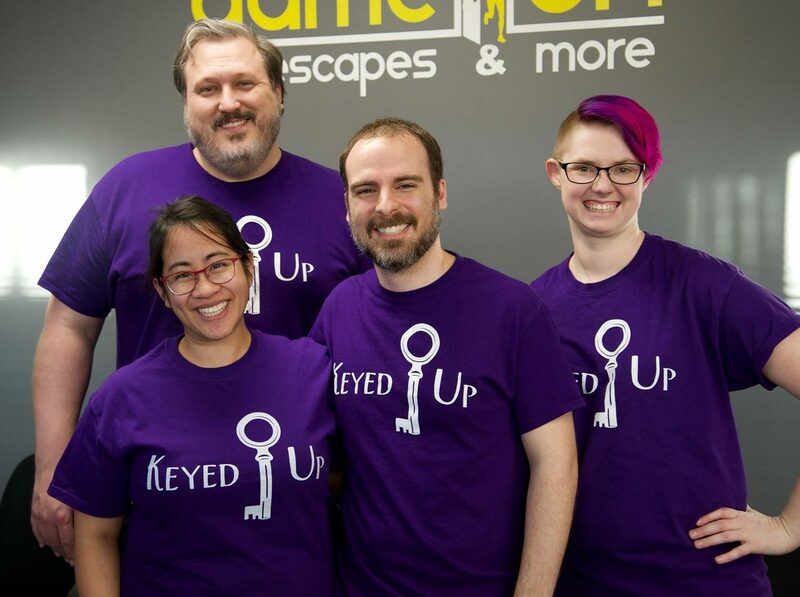 Not only did we need to escape the room, but we needed to put each piece together to further the narrative itself, which is much more engaging than your usual solution to lock situation. In both rooms, but especially Part 3, there are some interesting gadgets to play with, all of which are hand made and unique to the game. The puzzles themselves are perfectly logical and once the solution is found, it is obvious that you have determined the right answer; there is very little ambiguity at any point. Nothing feels out of place, and even the most unassuming prop can hold a hint to propel you forward. The attention to detail in these experiences was wonderful. The office itself stays mostly the same in between episodes, so the set design, while convincing, is minimal. The logic of some puzzles, while understandable, could feel a bit too lofty at times, leading us to solve as much as possible before trying out remaining solutions. The House of Pawns series is an exciting narrative based escape experience that builds immersion though storytelling and excellent, logic-based puzzling, rather than big budget set design. I felt well immersed in the story throughout, even more so than some other rooms which focus solely on Hollywood style sets at the expense of well-rounded puzzle design. A pleasantly different experience from the norm, I highly recommend checking these rooms out, and look forward to Episode 4! Book your time unraveling the political intrigue here!